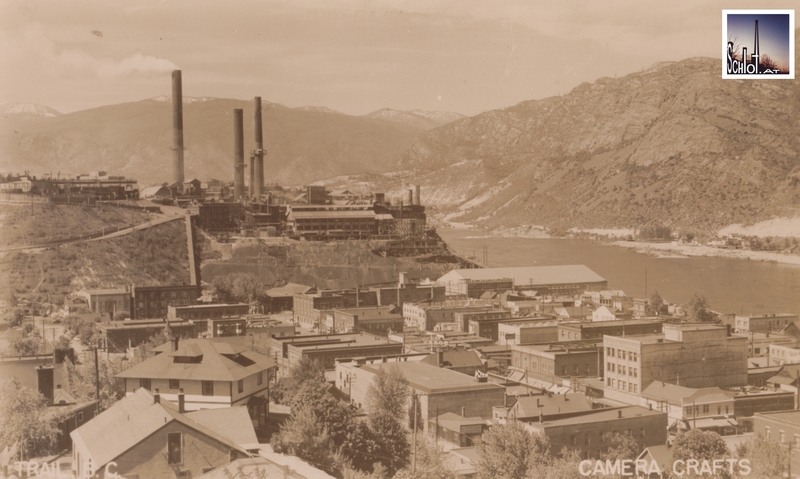 Vintage real photo postcard  from Trail, BC showing the Trail Camera Crafts in the foreground and an ore smelter, today owned by Teck Resources. The latter one is to be seen in the background – mind the smoke stacks. …Postcard from about 1930 is property of schlot.at archive.